The Terra Garden during lunch break. The flowerbed and grass patch were neatly trimmed. Majority of the upper classmen had already occupied this place to enjoy their lunch. Sitting around the table under the parasol, Chloe and Yuri were discussing about their upcoming schedule. After becoming Royal Guards, apart from the normal practical training, their off-campus activities had increased. This time, their plan was to cooperate with the city’s internal security police . Most of the students in the Terra Garden casually took glances at where Chloe and Yuri sat, others blatantly focused their gazes upon them. Their gazes contained respect and reliance. There were also female students squealing after making eye contact with them. Yuri continued to add sugar cubes into her red tea to hide her embarrassment. Then she sipped from her cup of overly-sweetened red tea. Chloe was like that at first, but the large number of special missions made her so busy that she became used to it without realizing. She could not afford to worry about Yuri much, but when Yuri pretended to speak like an adult, some childishness still remained. By the way, she could not drink coffee as it was too bitter. She also could not drink red tea unless a mountain of sugar cubes was added. She probably didn’t realize it herself, Yuri would ask Chloe about Kanata every time they met. Rehabilitation due to injury was the plan Chloe helped Kanata with as an excuse to be absent from special missions indefinitely. She had pleaded to the Kuusen Madoushi Division Head to look out for Kanata as well. Although Chloe managed to deceive her each time, Yuri began doubting the truthfulness after a few months. “I cannot agree to this! Why, that traitor! I thought that he did not participate in our squadron activities to help the Logistics division, but now he became an instructor!? Gently appeasing her, Chloe showed an angelic smile and looked around their surrounding. Before her gaze, some students from Machina division were fervently discussing something. There were also economic division students chatting happily during their lunch break, and many other students enjoying their daily lives. Seeing that smile, Yuri could only sip her extremely sweet red tea uncomfortably. Afternoon practical training. E601 squadron room. When Kanata entered the room, Misora’s team of three had already been waiting for him inside. They focused their attention on Kanata who just casually strolled into the room. They still had a negative impression of the traitor Kanata at the same time yesterday, but today it was slightly different . Despite still saying some sulky things, Misora had gradually acknowledged Kanata’s abilities. She could no longer deny Kanata’s ability as a former ace from yesterday’s training, albeit deteriorated. This was something others apart from Misora also experienced. Lecty timidly raised her line of sight. She looked at him with respect. Kanata felt somewhat troubled and scratched his head. Finishing his declaration, he paid attention to the last person ── Rico’s behavior. She was a problem student that always boasted about not wanting to do the tiresome trainings, her existence made people want to tsukkomi her “Why are you still staying in the Kuusen Madoushi division then?”. Rico noticed Kanata’s attention towards her and snorted before stroking her hair. Misora rebuked in a hurry. However, Rico’s reaction was within Kanata’s expectations. Rico expressed her joy and confidence at being praised. However, Kanata was yet to be finished with his words. His words were spot-on, Rico’s elegant face showed an obvious twist. She said so and left after opening the door. Kanata did not panic at all. Rico skipping on her training was within his expectations. However, rather than insisting that prideful girl to receive training, it would be better to focus on the remaining two people and raise the squadron’s overall combat ability. After waiting for Misora and Lecty to calm down from the sudden events just now, Kanata asked. Difficult......Misora and Lecty immediately settled down. Kanata’s words seemed casual but had a mysterious weight in them. It was like the pressure released by someone who had been through much carnage. She thought of something and suddenly stood up from her seat, nervously facing Kanata and looking up at him from above the neck area. Getting questioned by him, Lecy timidly spoke. Lecty’s sincere attitude got through to Kanata immediately. Lecty bowed deeply after saying so, then returned to her seat and lowered her head shyly. Misora was still a little hesitant after being looked at by Kanata. As her reply was not decisive, Kanata reaffirmed her will. After her complaints, Misora continued speaking. Although she was not used to seeing the serious Kanata. And hence Misora and Lecty’s special trainings began. Once afternoon came, with the Economic division students as the center, people involved in business activities became active. The students were also in charge of the shopping district’s operations. The academy discouraged acts that would create a rich-poor segregation, so the necessities were lightly taxed while the luxuries heavily so. In there, Kanata and Lecty had a boutique tour in the shopping district at the city center. He made Lecty try on various kinds of clothes, and bought some goodies that she liked. At first Lecty believed that this was a harsh training, so she continued to try on those clothes seriously. After reaching the fourth boutique, both Kanata’s hands were already full of paper bags, she then started to get suspicious and made up her mind. 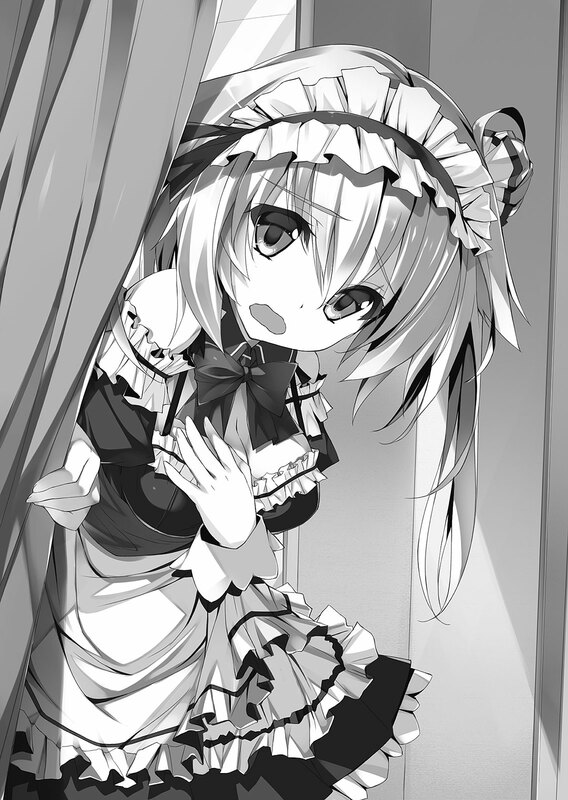 Lecty pulled aside the curtain of the dressing room after being forced to change into the deep blue coloured maid uniform, and questioned with her head lowered in embarrassment. Even though he was the one who chose such a cute uniform for her, Kanata was still surprised himself. How to put it......it was so cute that such kind of fetish might be awakened. Only after regaining his composure did Kanata judge if the clothes suited Lecty. Saying so he instructed Lecty to change her uniform, and he bought both the maid uniform and bunny uniform in the fourth shop. Then he asked Lecty to help carry some of the shopping bags, the two of them started to walk back in the direction towards the school building against the flow of students leisurely strolling. She was getting even more confused about his intentions. What exactly did the special training mean? The serious Lecty had another matter of concern. She looked at Kanata with insecure eyes shyly. But he did not show any concern, and used the usual casual tone to reply. How exactly would this be a proper activity? The weight of the bags she was holding in both hands seemed to increase due to her guilty conscience. The shopping bags almost fell out of Lecty’s hands. Despite Lecty’s explanation, Kanata ignored her and continued to walk into the dressing building, stopping right before the female dressing room. This kind of behaviour would definitely attract attention, it would be an intense pressure to the easily-embarrassed Lecty. The insecure, almost crying Lecty, with her hand guarding her chest, gave off “a small animal wanting to be protected” image to Kanata. Facing such pure-hearted girl’s troubled appearance, Kanata’s tone also became gentler despite seemingly unaffected. Lecty became quiet upon reaching this point. It seemed that Lecty held some sort of chagrin towards the Eisenach family name. Taking a glance at that reaction, Kanata then divulged in a low voice. Getting praised like that, Lecty was still confused. As expected, he had not finished speaking. And then her words became stuttered, but Lecty continued to explain. She had realized it herself, her weakness named stage fright. Lecty had thought about curing herself a few times before. However, she did not know how. If it was so easy to cure then she would not be suffering so much. Towards Lecty who was bowing in apology, Kanata gently stroked her bangs, but until it was a mess.Then he spoke confidently. Lecty thought that she would anger him with naive words, timidly looking up after the sudden realization. Her expression was that of respect from the bottom of her heart after feeling moved by his words. Leaving those words behind, Kanata left Lecty alone there. However, once Kanata disappeared, she became anxious, and felt embarrassed. Lecty lowered her head while standing alone next to the three big paper bags in front of the dressing room despite nobody around. Afternoon practical training time. Misora sighed while waiting with Kanata at the school gate. There were unexpectedly many students after school. The Kuusen Madoushi Division had practical training everyday, but it was not so for other divisions. Kanata was scanning the stream of students going home for a familiar face. After shopping with Lecty, he confirmed her presence in the school building. Kanata thought that it was about time for her to go home......His expression lightened. Rico was going home alone with her bag in one hand. Kanata blended into the crowd and started following behind Rico. Misora naturally followed after Kanata, he then said something unexpected at that timing. Tailing? Me tailing Rico? ── That is......s-special training!? Misora raised her voice without thinking, but Kanata remained calm. Kanata suddenly made a move at that moment. He seemed to notice something amiss and hugged Misora up quickly to hide into the shade. At the same time, Rico turned around after hearing Misora’s angry voice, but was confused after not seeing her figure anywhere. Kanata and Misora hid into the alley at the roadside that was barely wide enough for one person. They were squeezed together and unable to move. Misora’s face was right below Kanata’s face. Kanata was hugging from her back. Their hands and legs were entangled in a weird way. For some reason Misora’s face reddened and lowered her head, mumbled in a small voice. The rarely-flustered Kanata wanted to pull his hand out in the narrow space. Misora also tried to twisted her body away while still entangled. After that they somehow pulled themselves out onto the road, and resumed tailing. Misora grumbled in a small voice. Towards Misora’s hostile stare, Kanata showed a confident smile and said. Misora tilted her head in confusion. Unable to comprehend Kanata’s intention, Misora raised her voice. After finishing his words with an I will leave the rest to you attitude, Kanata lightly tapped Misora’s shoulder and left the place. Grasping Rico’s weakness. Although she did not know what purpose it was for, and thought that it was a pretty reckless method, Misora still stealthily followed after Rico who was gallantly walking down the shopping street. Rico suddenly came to a stop from her strolling, then turned backwards. Misora noticed something was wrong and hurriedly hid behind a vending machine. Rico walked towards her all of a sudden. It seemed that she had been discovered so soon that she didn’t have the chance to investigate. Rico felt unhappy and questioned her sullenly. Haah, Rico sighed and revealed the answer with a what to do with you attitude. Misora had no tailing sense in the first place, she was discovered since some time ago tailing her in an ambiguous distance. Hence, Rico did not think that Misora was tailing her, but wondered why was she following behind her and not call out to her......? She became alert for the possibility of some prank. Is this really Misora? Rico could not help but suspect, Misora was nicer than normal. Rico raised her vigilance for whatever she might be planning, then snorted in a good-humoured way. She would really like to return, but tailing Rico was part of Misora’s special training. So that’s how she thought of me, Misora solemnly reflected. On the other hand, Rico crossed hugged her arms in thought before opening her mouth. Misora accompanied Rico to visit a few specialty shop together later on, as a result she realized the difference in interests between the two of them. She bought a few philosophy books that gave Misora a headache just by seeing it at the first book shop. Furthermore, she seemed to be in a good mood after buying those books, heading to the shop window to admire her reflection, and stroked her hair with a Fuu, I am beautiful look. In the boutique shop next, Misora watched Rico try out the high quality dress that she could not hold up with her physique, and the shop attendant also praised her with sincerity. After that, Rico went in front of the mirror to admire her appearance, and stroked her hair with a Fuu, I am beautiful look. They visited the doll shop last with Rico claiming academic interest as a reason, and bought a winged dragon doll that was designed with female taste in mind. She had a similar interest as Misora for loving cute things, but Rico stubbornly claimed it to be for academic interest. She pretended to keep her cool, but Misora noticed her eyes going sparkle sparkle. With that the trip would be over. I still haven’t found out Rico’s secret, Misora was anxious with such thought when Rico kicked the signboard for glasses specialty shop on the road. Since Rico did not want to talk about it then let it be. Thought why glasses......? Misora withheld her question, but what she said next was more of a complaint than changing the topic. Rico quickly left after leaving some sort of epigram. Then Misora who was left behind let alone finding out Rico’s secret, she had not learnt anything about Rico. She confronted this fact. This means my training has failed huh, she returned to school in disappointment. Lecty was crying in the shadow of the cleaning tool crate in the corner of the classroom, Misora found her by her voice and hugged her. She started sobbing after then. It was difficult to find her due to the hard to find hiding spot. For the part two of her special training, she needed to help Lecty. Lecty who was being questioned seemed to have gone through some hardship, then after idling a while as if she remembered something, she only wept Uu, Misora-zaan~~! without answering her question. Although she did not know the details of the matter, Misora gently stroked Lecty’s head for the time being. And then until Lecty stopped sobbing, Misora continued to comfort her gently. Even though Lecty had never been accompanied like this before, she hugged Misora without reserve. After she slightly regained her calm. Misora had a bad feeling and spread out her defense line, but Lecty easily crossed over it. She took out some pure white clothes overflowing with cleanliness from the bloated paper bag. Against Misora’s accusing voice, Lecty nodded her head. It was already a desperate plea, the normal Lecty could not be seen already. The normal Misora would strictly decline, but this time she gave it a deep thought. Since she had already said that she would help her, and Lecty looked like she was suffering a lot as well. The feeling of not being able to leave Lecty alone forced Misora to agree. Chira chira chira chira chira. The glances from the students in the hallway hurt. Amongst them ── There were those stares with indecent desires, there were also students pointing at them and whispering amongst themselves. Haa, why must I do such things? Misora sighed as she walked down the hallway wearing a bunny girl cosplay with pathetic chest. Lecty at her side had thought of running away from this situation countless times, but managed to suppress herself after seeing Misora helping with her special training in that appearance. Lecty was using her watery pure eyes to plead her even now, Misora could not refuse. It seemed that this was related to the special training from Kanata, but she could not get any more details out of Lecty’s mouth. They continued to endure the weird and curious glances from the students for about thirty minutes. Then Kanata appeared when Misora was just about to be fed up about this. As she thought that she could not trust this guy after all, Misora criticized him along with the share from Lecty who did not dare to voice out her opinion. Lecty could not endure her embarrassment any longer, she hid behind Misora’s back to avoid as much attention as possible, but Kanata just spoke lightly. Then, Lecty who was hiding behind Misora’s back was about to nod her head silently. Just at that timing, Kanata casually continued. Lecty forcefully stopped her head’s movement before she was going to nod. After glancing at Lecty again, Kanata casually left behind some words before going away. Misora who was left behind thought that he was irresponsible after all, but stayed with Lecty again. Even though this was the content of her special training, Misora who couldn’t leave people in trouble alone comforted Lecty from the bottom of her heart. Reacting to the word cute, Lecty felt a little bit happier. Her tear-swollen eyes still looked weak, but she properly said it. With that Lecty should be able to stop. Misora was sure about it, but Lecty seemed to refusing. She stopped sobbing after saying so, and walked out from the curtain that was Misora’s back, becoming the subject of public attention herself. Her face completely red from the embarrassment, Lecty still endured her shame with shaky knees. Kanata asked her about the result of her training after school that day. It seemed that Misora did not stay in the dorm, so they could not walk back together. Lecty had sustained a big mental trauma, and went back to rest first. Misora gloomily looked down at her feet while walking. At that time, Kanata strode towards the popular ice-cream stall, and replied while taking out his wallet. Kanata stuffed the soft cream into Misora’s mouth just when she raised her face full of anger. The sweetness spread out in her mouth, the cold extinguished her flame of anger. Kanata then blandly replied. Misora tiredly bent herself forward and answered. What has he been saying since just now, Misora licked her soft cream while staring at Kanata. He sensed Misora’s line of sight, and spoke while looking at the sky burning in dusk color. Misora suddenly exclaimed with anger mixed in her voice for some reason. Kanata asked back superficially, Misora could only make an Uu sound. Just like he pointed out, Misora had realized that since just now. Rico and Lecty were the members of the same team she had to rely on when something happened in the sky......However, they could not approve of one another and come to a mutual understanding. Misora hung her head down after finishing her words. Kanata on the other hand revealed a confident smile towards that girl. Misora raised her head in surprise, Kanata continued nonchalantly. These words blew away Misora’s hesitation, her expression changed into a gentle smile completely different from before. Saying so Kanata walked towards Artemia Dorm from the branch road. Misora only realized after he walked far away. His second day as their instructor ended. Kanata was still reading a lot of data in the Artemia Dorm. They were all about Misora’s group. There was almost no place to stand in Kanata’s room that was messy from trash all over the place. It was probably because he had no roommate, Chloe would sometimes invade his room by using flying magic. They were both wearing uniforms, definitely not in a male-female relationship. Members of the same team naturally preferred to stay in the same dorm, apart from Chloe, Lloyd and Yuri also stayed in Artemia Dorm. Fufu as Chloe showed an angelic smile and pacified him, and asked about Misora’s group. Chloe sitting on his bed almost dropped the cushion she was hugging in panic. Magic power was the root of all magic art. That power was not something that could be increased easily through training, it had a lot to do with natural born talent. Hence it was not wrong to say that Misora had a natural talent. After hearing Kanata’s consideration, Chloe tilted her head with a Uun. Chloe felt anxious, she tried to dissuade Kanata, but he smiled confidently and declared. During the lunch break next day since Kanata’s special training. Misora as the squadron leader made her decision. In this Kuusen Madoushi Division preparatory second year class C classroom, Rico and Lecty who were invited by Misora had shown up. The three desks were joined in a triangle shape, they sat down facing one another with a basket on top of the desk. Misora spoke full of smiles upon her face. She had left a message indicating that she wanted to have lunch with them together under their desks early in the morning when she reached school. Rico widened her eyes in shock. And then, Lecty bowed deeply towards Misora. Misora was confused, Rico snorted, Lecty tilted her head. This is the first time I am casually chatting with these two, Misora had thought. Although she had not grasped the whole situation, it did not feel bad. However, as they did not know much about one another, therefore, they could not get enthusiastic into conversation. Eating quietly like this was not bad, but that would defeat the original purpose of this gathering, hence Misora slowly started to speak. The topic was a common Kuusen Madoushi Division matter. Rico declared energetically with a vengeful feeling for some reason. Lecty timidly revealed her clear objective. Misora’s expression faintly became distant, as if looking at something far away. Comparing the person in her heart against that former ace traitor, Misora laughed bitterly. However, Misora could hardly suppress her excitement, she could not wait to see what kind of special training she would get today. Receiving Kanata’s special training did not seem to be bad, at least that was what she thought for the time being. The afternoon practical training. Misora who was called to a corner of the training ground looked bored, she watched the students training themselves afar. Students wielding weapons such as Magic Sword, Magic Gun, Magic Battleaxe were doing battle training. The sound of metal clashing against metal. The rolling dust blown from the wind. The sharp howls of the students. Such a scene was repeated every day in Kuusen Madoushi Division. It was necessary for a squadron to use the sky for the 3D maneuver strategy training, but they would not neglect ground training. Without the burden of the constantly-operated flying magic, they could focus more on their battle skill practice. Misora would not only train her Magic Cannon Sword during flight, she also practiced her swings on the ground. To meet her target number of swings, she would spend at least two hours a day making a huge number of swings. She had never missed this training everyday. Right beside her, Kanata who was slightly late for their appointment appeared. As a traitor he was hated by the students in 「Mystogan」, but Misora slowly started view him with expectation unknowingly. Kanata handed over the stuff he prepared to her without a speck of guilt. Saying so Kanata took out something from the empty space, a barrel longer than Magic Gun, a big cannon barrel-like armament ── Magic Cannon Staff. Misora showed an expression that was between confusion and troubled. She observed Kanata carefully, and confirmed that there was something about it. Even so, he spoke with a normal tone. Misora might have held too much expectation for him. Though he, being a traitor, had always said unexpected things, he was still a good guy. It might be because of that, she was displeased with what Kanata said ── she felt that she was betrayed. Misora spoke in a cold and bland tone. This is my voice huh. She suspected herself, it was a chilling voice. However, Kanata continued his peaceful facade, and told her. Saying so, Kanata began explaining the important factors for Magic Cannoneer training. Misora still hung her head down and replied with an eerily quiet tone. However, Kanata purposely pretended not to hear it. The Magic Cannon Sword she cherished dearly was cruelly criticized by others. Kanata became famous also because of using Magic Cannon Sword, he should have the same feeling as her, but she did not realize the contradiction. Misora became more emotional than ever, she stared hatefully at Kanata as if he was her father’s murderer. Misora desperately pleaded. However, the word effort was easily discarded by Kanata, then he frankly spoke. All my efforts until now have been completely denied. Misora thought. This guy did not know how much effort she had put in at all. 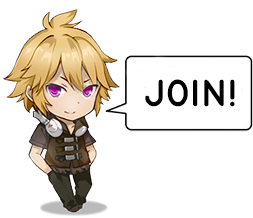 Even so......He sounds as if he completely understand me, not even knowing the reason I want to become a Magic Cannon Blader, then making decisions for me selfishly......the most despicable instructor. She was already shouting by the time she realized. Then she suddenly thrusted the Magic Cannon Staff back to Kanata, wiping the corner of her eyes with her hand on her face that became red for some reason, and left the place in big steps. 2 Magic power and magic art - 魔力値 or 魔力 is the magic power which is similar to MP. While 魔術 is the magic art which is similar to magic skill.